Bhagavad Gita Art Gallery--Plate 27: "When one goes there, he never comes back. That is My supreme abode.". "When one goes there, he never comes back. That is My supreme abode." 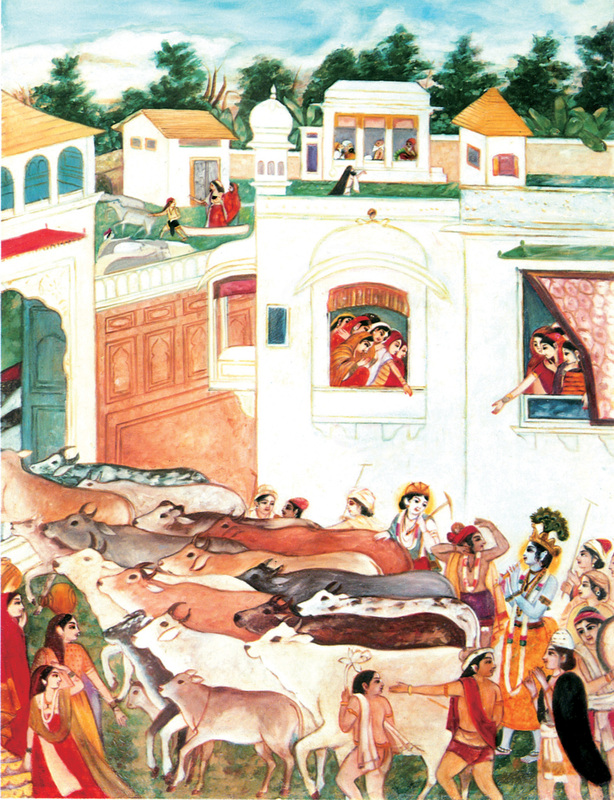 PREVIOUS Bhagavad-gita 8.21 Krsna brings His thousands of surabhi cows back home from the fields at the end of the day.